Most of us these days are still operating on old dirty energy and either don't know or don't care about the impact to our earth. If you recycle you understand the importance of preserving our planet. Too many times we hear about global warming and the over production of CO2 (Carbon dioxide) in our environment. So much of it that the earth cannot absorb it all causing us to have health issues and other major factors that help in the deterioration of our planet. Much like renewable green energy, solar energy is a more contained unit focusing on the sun as its renewable source. The use of solar panel systems will increase our countries' energy security and lower our reliance on foreign imports and will enhance sustainability, reduce pollution, lower the costs of mitigating climate change, and keep fuel prices low. Although our country seems to be moving in the direction of renewable green energy, there was only 12% of our electricity generated from renewable energy in 2012 and electricity is the largest single source of CO2 emissions in our nation and we need to do something to reduce the effects on our world. Solar panel system can benefit you in many ways including your lights, water heater, heating unit, cooling unit and appliances and even cutting your electric bill 70%. However, adding solar panel system to your home can be extremely expensive, but there are other options. Of course you can go all out and purchase a full-blown system and pay everything up front and it may cost you $15,000 to $25,000 or you can lease it for little to nothing. On top of that, you can also get your solar panels installed for free if you look around and find the right company. When looking for a solar energy company to install your solar panels, you should be looking for companies that will exceed your expectations not just meet them. There is absolutely no reason that you shouldn't receive a free consultation. However, if you have to ask for it, then it's best to look for another company. Make sure the company does an energy audit so that they can customize your solar panel energy system and give you an efficient package specific to your home so that all of your needs are addressed. Before purchasing or leasing any solar panel systems, make sure that you can justify the cost. If your monthly bill is going to be lower than the cost of the solar system over the term of your agreement, you may want to rethink it. 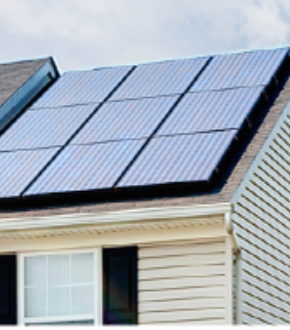 Leasing a solar system for your home may complicate selling your home. The buyer may not be able to afford the lease payments or did not figure that into their budget. If you are purchasing the solar system either by getting a personal loan or upfront cash. 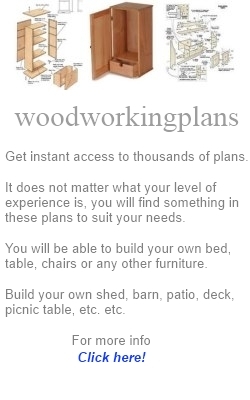 Then this can become a benefit to the buyer and a selling point. 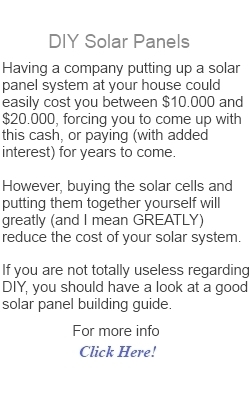 Either way, it is something for you to think about before purchasing a solar system for your home. Always talk with your solar energy consultant to determine your options. Although asking questions may seem like a no-brainer, there are many questions that are in the terms and conditions that some homeowners do not ask. Ask and understand about everything! Always ask about tax credits and rebates and have these in writing. Once again, if you don't receive this information in writing find another company. To my understanding, if you owe federal taxes you will be giving up your 30% tax credit which is worth about $10,000. Food for thought if you are delinquent on your federal taxes. Solar systems are good for you, our economy and a lot of businesses are going solar including the automobile industry. You could definitely benefit from a solar system that will reduce the costs of your energy bill. Solar systems also give you credit with your utility company because your meter turns backwards, basically you are selling back energy to your utility company.